500 meters, 50 degrees, towards East Asia and most of the Pacific. 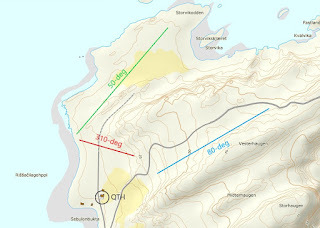 225 meters, 310 degrees, towards eastern North America, and South America. We have yet to put up the dual 340 degrees beverage, towards western North America. Half of it has been rolled out, but not connected. 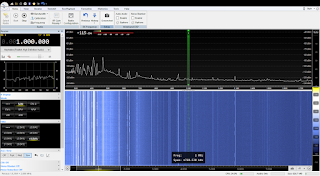 All have loooong DX-Engineering feedlines into my shack, where they first enter a DX-Engineering preamp, followed by a 1:8 MiniCircuits splitter and then distributed to the four radio operators. 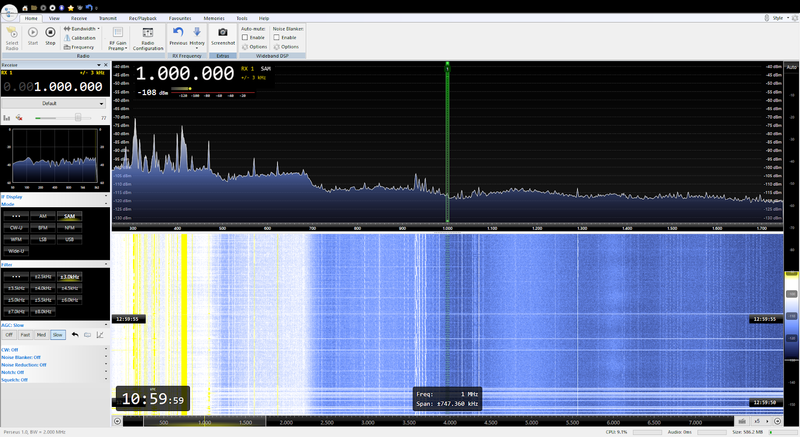 There are some interesting differences in the antenna's noise levels. 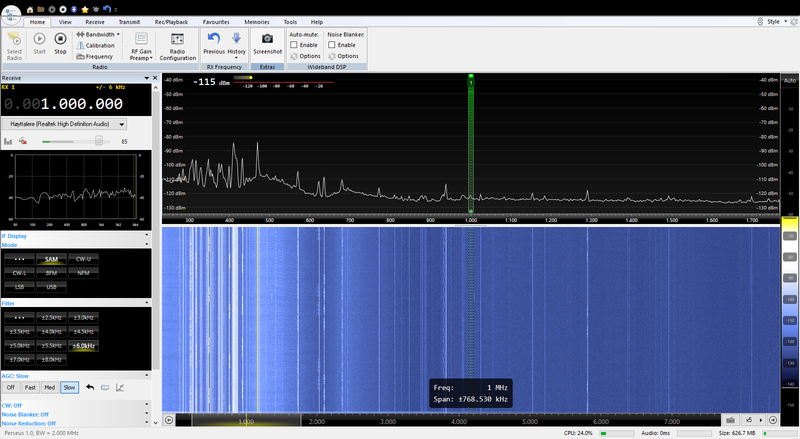 So I set up a test during daytime, when there were no signals on the MW band, to illustrate this. I used Perseus SDRs at 2 MHz sampling rates, centered on 1000 kHz, and SDR Console v. 3.0.3. First off, the oldest "design" of them all, the 310 beverage aimed for North America. 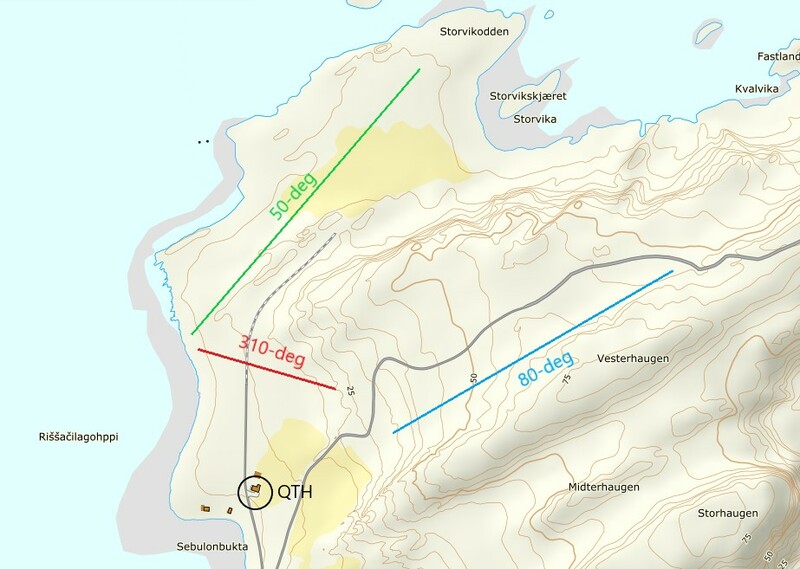 It points directly towards a wind park, comprising 15 Siemens turbines each with a capacity of 3 MW. 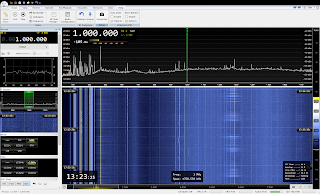 The noise below 800 kHz is typical for these turbines, this "fingerprint" is also noted by Swedish DX-er Stefan Wikander. I suspect the peak on just below 1400 to belong to the same noise source. Generally, the noise level is quite high, and a lot higher than at our test site Mount Loran, where we put up a temporary 1000-metre beverage at roughly the same direction. The 50 beverage is very quiet. When we first erected it several years ago, we heard absolutely nothing when we tested it. We thought we had forgot to connect it. We hadn't. Since then, increase in general noise levels have affected it a bit, but it's still very quiet. 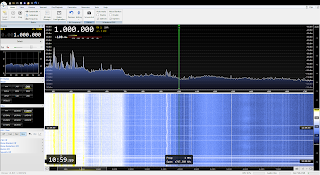 We can see the wind turbine noise on the spectrum, but the antenna is grounded on its back end, and pointing slightly away from the turbines, so the effect isn't too bad. The 80 beverage was new last year, and is somewhere in between, with regards to noise. 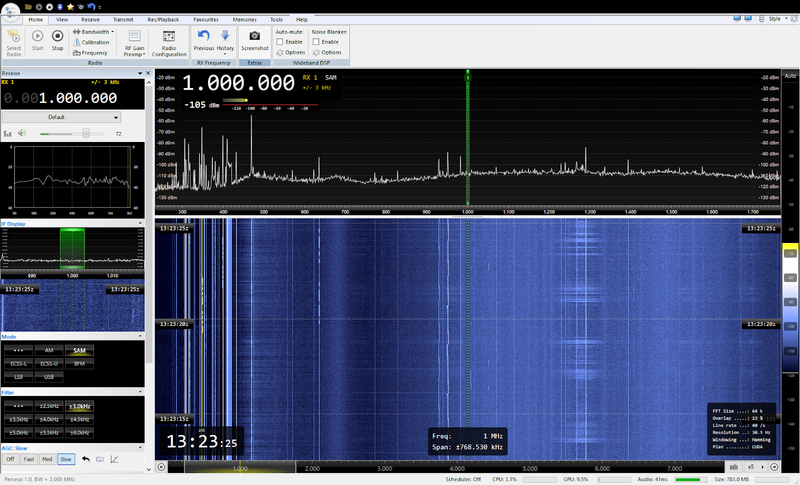 The wind turbine RFI is clearly visible from 700 kHz and downwards. Apart from that, I don't really see why it should be so much noisier than the 50 beverage, so we might have to look into it. It's nice and quiet in the LW band and lower MW, but otherwise not particularly quiet. 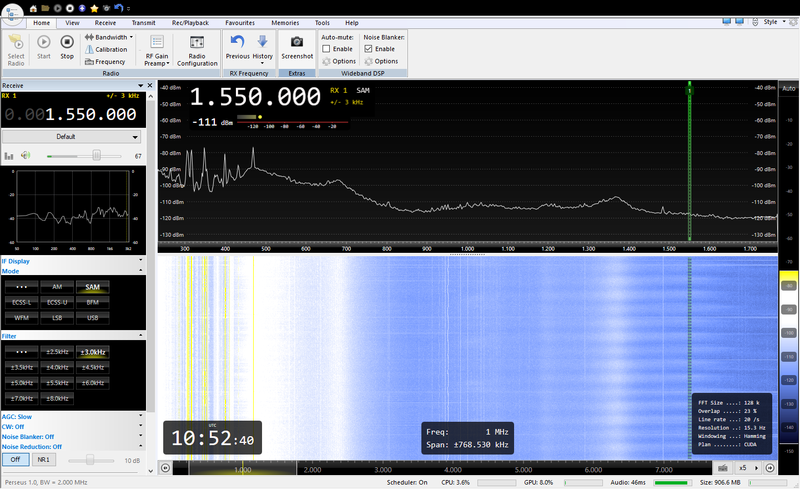 It should be noted though, that the longwire is connected to a 13-dB Wellbrook splitter/preamp. And on the SW bands, as should be expected from a longwire, the noise level is around -120 dBm, which is quite good. The longwire certainly "hears" more on SW than the beverages do. One would expect, or at least hope, that a super-rural area like this would be super-quiet as well. But just 4 km away is a major grid hub with several 20 kV, 66 kV, and 132 kV lines going in many directions. The wind park makes its own noise. And although we are on constant red alert regarding in-house appliances, we may have undetected noise sources here as well. Or maybe our neighbours 200 meters away.